Cameron has over thirteen years of experience in the financial services industry. Currently, he serves as a wealth advisor - working directly with clients to develop a cohesive plan focused on their most complex financial goals and needs in a manner that they can both understand and execute on. Cameron’s comprehensive approach allows him to provide objective investment guidance and financial planning solutions, with the goal of creating value driven, long lasting relationships. 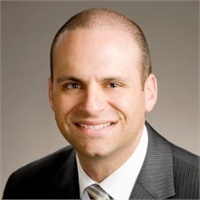 Prior to becoming a Partner at Millennium Wealth Management, Cameron served as Director of Relationship Management at StreamSong Advisors, as well as Vice President and Senior Relationship Manager at PNC Bank’s Wealth Management group in Troy, Michigan. Cameron has a Bachelor of Business Administration in Finance from Kennesaw State University. He holds Series 7 and 66 registrations with LPL Financial. He is married to his wife, Jennifer and they have two children together. Outside of work, Cameron enjoys spending time with his family, playing various sports, and is active within the youth group of his church.